What do the columns mean on PortfolioCenter performance reports? Let us manage the data, so you can manage the money. 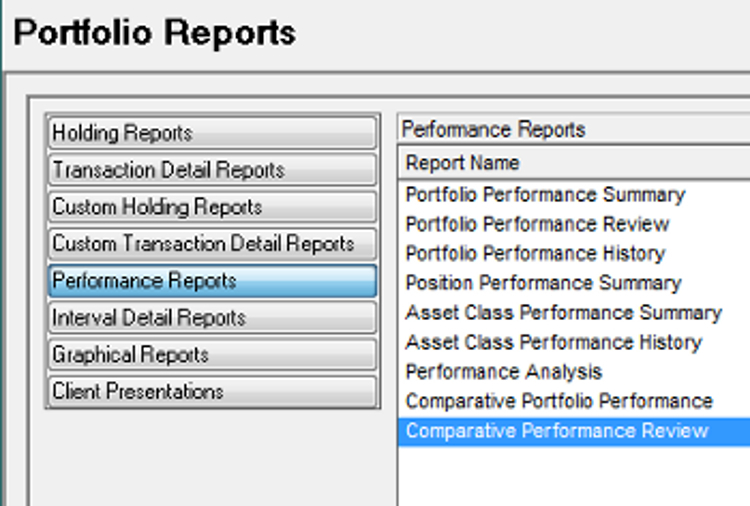 You are here: Home / Reporting / What do the columns mean on PortfolioCenter performance reports? Wondering what the columns mean on the various Schwab PortfolioCenter Performance Reports? Here’s a brief explanation. Beginning (BV) = The total market value of the portfolio at the beginning of the reporting period. This values comes from the intervals. Net Contributions = The total of all securities and cash deposits added to or subtracted from the portfolio during the reporting period. Contributions (C) = Cash deposits plus the market value of securities deposited into the portfolio during the reporting period. Withdrawals (W) = Cash withdrawals plus the market value of securities transferred out of the portfolio during the reporting period. Note: If you’re reporting on a group Contributions and Withdrawals may include cash and securities transferred between accounts in the group. Capital Appreciation = The change in value, excluding additions and withdrawals, during the reporting period (realized gains + unrealized gains). Realized Gains = Total of the capital gains realized on the sale of securities during the reporting period. Unrealized Gains = Total change in value during the reporting period. Note: These gains are NOT taxable gain. These gains are computed from the market value of the security at the beginning of the reporting period, not from the purchase value. Interest Income = Total interest received during the reporting period. 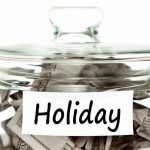 Dividend Income = Total dividends received during the reporting period. Total Expenses = Total of all expenses including management fees during the report period. Expenses = Total expense transactions during the reporting period, excluding management fees. Management Fees = Total expenses marked as management fees during the reporting period. Change in Accrued = Net change in accrued interest on fixed income securities, during the reporting period. Ending Value (EV) = The total market value of the portfolio at the end of the reporting period. This values comes from the intervals. Need a quick answer? Ask a question and I’ll try to answer with a blog post. In PortfolioCenter, what does “change in accrued” mean?